Blogging isn’t always easy. It’s not just sitting at a laptop doing nothing all day. Blogging is a hard job- yes it has its perks like working from home and review free stuff *sometimes* but not always. I’ve been blogging for over 3 years but I’ve only been seriously blogging for a little over a year. I have been a struggling blogger. I still struggle. There are still horribly slow months where I make no money at all or have fewer views than before. But I also have had many blogging victories! I’ve had growing numbers each month lately, more business, and more collaborations. One thing I love about the blogging community is how helpful they are and can be! I have found some of the best blogging friends that are always ready to support me. Today, I wanted to try and encourage any new or struggling bloggers out there. I have been where you are and am still there sometimes. 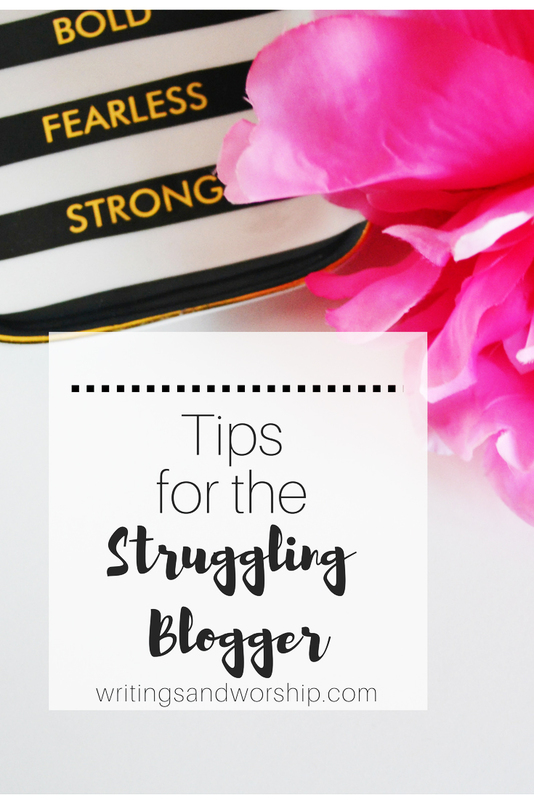 If you are a struggling blogger, don’t give up! Keep up the good work that you love to do. Take these tips as advice as from someone who has been there. The biggest mistake I have made is only focusing on my numbers. How many views, how many followers, how many clicks, etc. Those are all important numbers in the blogging world but they aren’t the only thing that matters. I was so caught up in the numbers that I placed my success solely on that, and it was brutal. Your numbers are not always going to be what you want them to be, so you cannot lay your success and identity on those numbers alone. A blog doesn’t become successful overnight. It’s a process that takes commitment and work. Sometimes you will feel like you’re giving it all you got and progressing so slow, and that’s okay. I consider any progress a good thing. Whether you have two more views than the next day- that’s a win! And don’t let yourself be discouraged if you feel like you’re going backwards sometimes. Because of how blogging works, you will have great days with a lot of interaction and traffic and other days will be completely barren. My family members are my biggest supporters and cheerleaders. I used to be embarrassed to ask them to go share a post, but I’m not anymore. I will not buy followers or retweets, but I don’t mind asking my family to help spread the word about my blog or pin a pin that I needed to get out there. Honestly, I rarely have to ask them, they normally do it on their own. But I don’t believe that its wrong to ask your family for help or ask other bloggers for advice. Don’t be afraid to send a blogger a message and ask a question, if they’re a good blogger they would love to answer. I love helping others in my blogging community and would always be willing to answer a quick question or discuss a wall that they might have hit. It will be very easy for you to agree to do sponsored posts or get paid for links when you’re really wanting to boost your blog. BUT do NOT compromise your ethics, and ah-em the laws, just to make a buck or say you worked with a company. I have had so many companies want me to work for free, and in the beginning, I did. But not anymore, I deserve better and so do you. My biggest piece of advice is to never agree to a collaboration when the brand/company doesn’t want you to disclose you are working for them. You would be amazed at how many will do it. I have just recently said “no” twice in the last month because of this very reason. And it’s hard- that’s money I am saying no to but I don’t believe it is worth it. I have even had brands who asked me to work for free AND not disclose their work, which in that case, why would I even do it when I’m not being compensated or getting the recognition for working with them. Don’t belittle your time, work, and ethics to make a brand happy or to make a quick buck. It’s not worth it. There will be times you want to give up blogging. The views will be low, you won’t be getting collaborations, and you’re tired of pushing out content no one seems to read- in those moments, remember why you started. 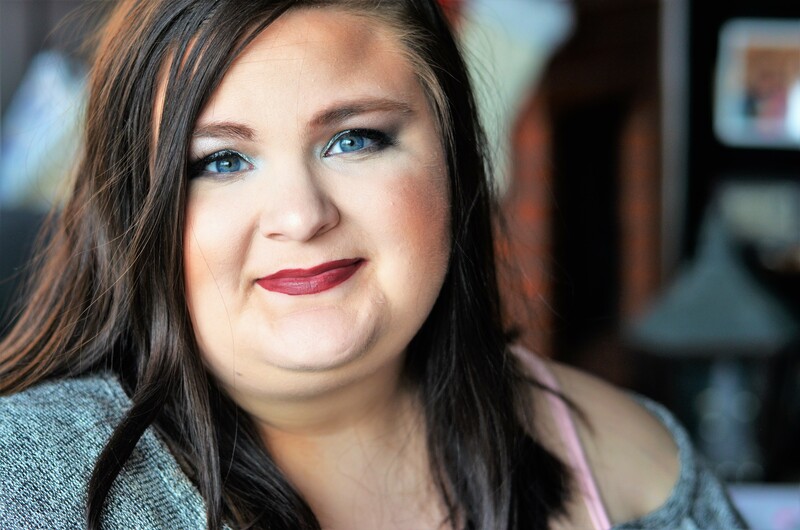 I blog because I love writing and I love sharing all the things going on in my life. I blog so that I can inspire, inform, and encourage someone else. Those moments that you feel like you are struggling, remember that passion that first caused you to start your blog. Sometimes you need to step back and take a break- we all need breaks. Don’t be afraid to step back for a few days, weeks, etc. and refocus yourself and let yourself breathe. Thank you so much! These tips were definitely encouraging to me today! Oh good, thank you so much! Thanks for stopping by!